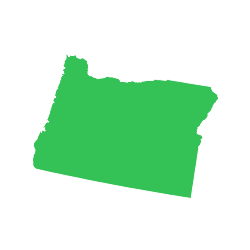 From Estacada, travel east on Highway 224 for 26 miles, then turn right on Road 46 and continue for 5 miles. Turn onto Road 63 and continue for 4 miles. Turn onto Road 70 and continue about 2 miles to the campground. these sites are nice. restrooms and fire pits available but no showers. great place to float on the river but bring water shoes. excellent for big groups!! Kingfisher CG is on the road to Bagby Hot Springs and Campground. I've never camped there before, but it was on the Collawash River and I've loved that tributary of the Clackamas for years. We were in #19 one of the few sites available on Reserve America. It was large enough for two or three tents. There were both old growth Cedar and Douglas Fir all around, with understory vine maple shading the whole campsite. Each site was spacious and private. Pit pots were clean with no smell. The campground host even rescued our chronic runaway Husky, Sage, as he snuck out of the van one morning. In all a beautiful place to escape the Valley heat. Clean and only a 15 minute ride up the dirt road to Bagby Hotsprings. Hand pump well onsite and cleanish bathrooms. The river spots are the best, but limited and go fast. Being what you need for a while as the nearest store is at least 30 minutes away. Wood was typcially expensive and dried so it burned too fast. Great to start a fire, but brIng bigger logs or prepare to spend. No cell phone service for Verizon, AT&T or Sprint from what we and our neighbors experienced. Will go back for sure.